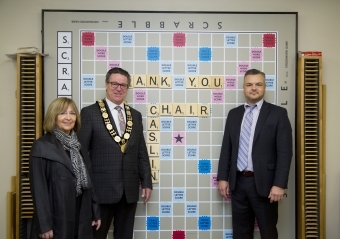 Proving that Niagara Regional Chair Alan Caslin is committed to support healthcare in Niagara, Chair Caslin presented a $25,000 gift to the Hotel Dieu Shaver Health and Rehabilitation Foundation from proceeds raised from the 2015 Niagara Regional Chair’s Charity Golf Tournament. Niagara Regional Chair’s Charity Golf Tournament has been raising funds for charities across Niagara for 18 years. In 2015, the Golf Tournament saw over 260 participants and raised a total of $120,000. Other charities of choice were Community Care, YMCA Strong Kids and the United Way. 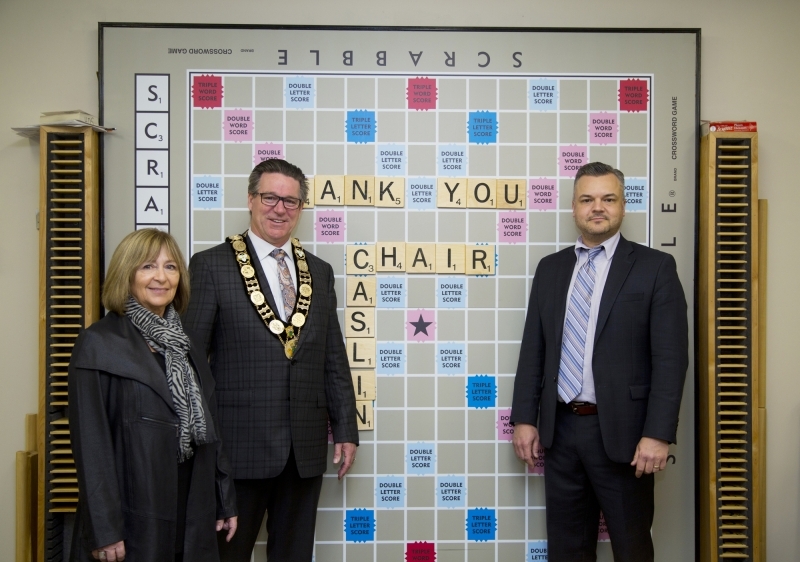 "I am proud that the proceeds from this year’s Charity Golf Tournament are being directed to such an integral piece of the Niagara healthcare puzzle," says Niagara Regional Chair Alan Caslin. 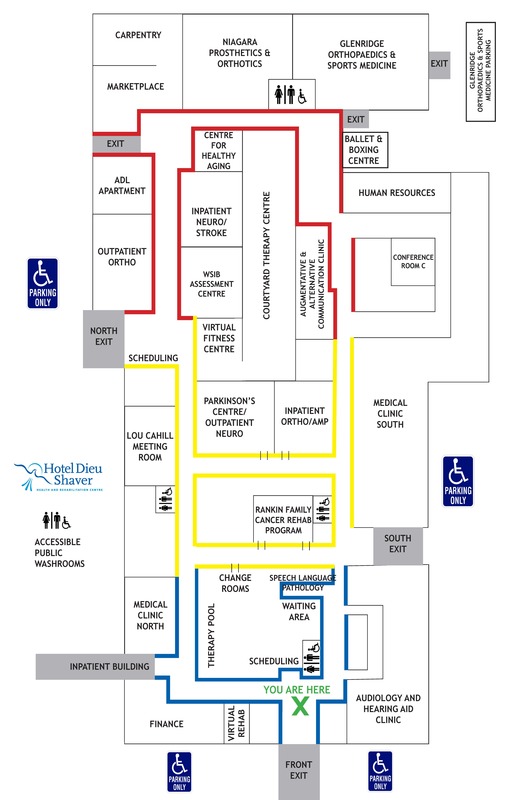 "When touring the facility earlier in the year, it was evident that Hotel Dieu Shaver is committed to providing high-quality care to all of its patients." This gift from the Niagara Regional Chair’s Charity Golf Tournament comes during the launch of Hotel Dieu Shaver Foundation’s Snowflakes & Angels Campaign. With a $1.2 million yearly campaign to raise funds for the Centre, this gift will help fuel the extraordinary successes of Hotel Dieu Shaver. "It is the commitment of the Niagara Community that allows Hotel Dieu Shaver Foundation to purchase the most up to date medical equipment needed to ensure our patients receive the best care possible," says Matt Harris, the Foundation’s new Major Gift Officer. "We are thrilled to be the recipients of this year’s proceeds."